This piece was commissioned by and dedicated to my aunt, Ardis Bourland. No Susan, it’s also that far away look in her eyes. You know it. You have it. Or, well, maybe she just needed glasses and if YOU didn’t have glasses, you’d look more like her. I’ll stop…. 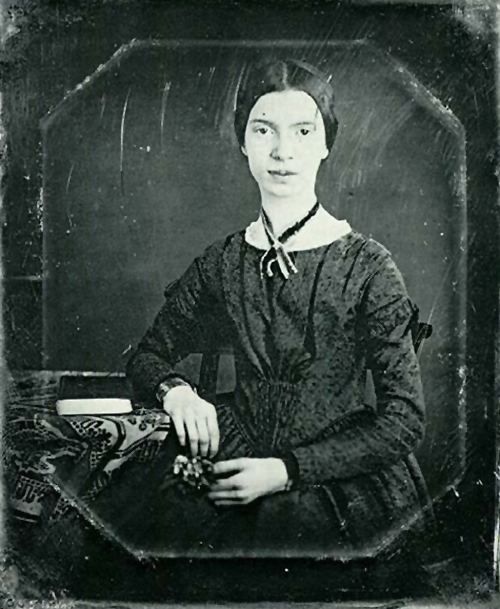 I came across this song many months ago while looking for the above extraordinary photograph of Emily Dickinson. I just wanted to say that this piece of music is extraordinary and I’ve listened to it many times.